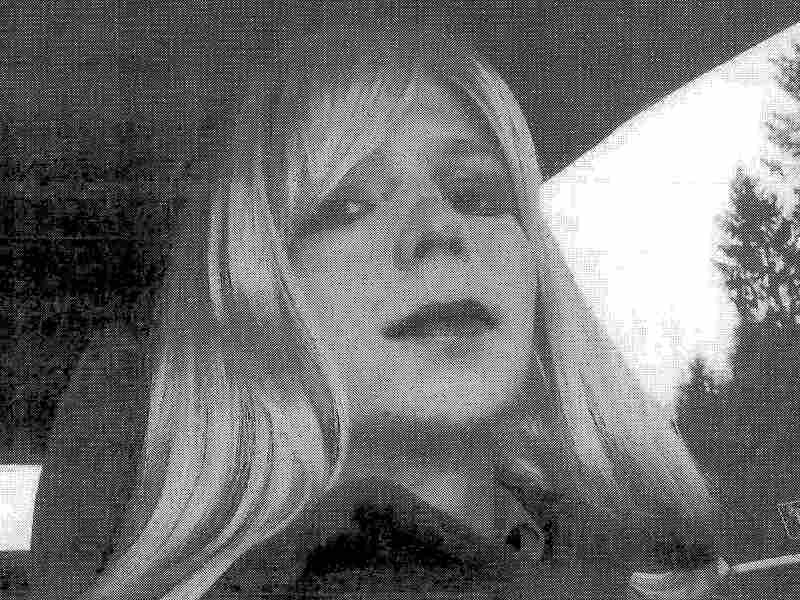 Judge OKs WikiLeaker Manning's Name Change To 'Chelsea' : The Two-Way The ex-U.S. Army intelligence analyst formerly known as Bradley Manning, made the request to reflect a change in gender identity. The soldier formerly known as Bradley Manning was dressed as a woman in this 2010 photograph. The ex-Army intelligence analyst responsible for the biggest leak of classified material in U.S. history is now officially known as Chelsea Elizabeth Manning. A Kansas judge on Wednesday granted the name-change request by the soldier formerly known as Bradley Edward Manning, who is serving 35 years in prison at Fort Leavenworth for giving secret documents to WikiLeaks. Manning, who identifies as female, has been diagnosed by Army behavioral specialists as having gender identity disorder. Reuters reports that "Manning will be issued a new birth certificate to reflect the name change" approved by Leavenworth County District Judge David King. According to The Associated Press, Manning was not present at the hearing, but issued a statement saying it was "an exciting day." "Hopefully today's name change, while so meaningful to me personally, can also raise awareness of the fact that we (transgender) people exist everywhere in America today, and that we have must jump through hurdles every day just for being who we are," Manning said. "The decision clears the way for official changes to Manning's military records, but it would not compel the military to treat Manning as a woman. That includes transferring Manning to a prison with a woman's unit. "The only impact of the district court ruling was changing Manning's name on military records, but not his confinement status, Army spokesman George Wright said. "'Likewise, the U.S. Disciplinary Barracks is a male-only facility and prisoners there are referred to by the title "inmate",' Wright said in a statement to the AP."